Editor’s note: This article contains major spoilers about the plot of Get Out. Last year was a difficult time for many black people in America. We saw now-President Donald Trump making his way to executive power through sheer racist, sexist vitriol. We witnessed the continued state of institutional violence against black bodies, such as those of Korryn Gaines, Keith Lamont Scott and Terence Crutcher. Black people saw the deaths of many beloved celebrities, like legends Prince and Muhammad Ali. It was apparent that now more than ever, we needed something that spoke to our experiences, even if that outlet was in the form of a fictional film representation. But Get Out also spotlighted a pervasive problem in this country: “Nice” racism and white liberalism are never to be trusted. 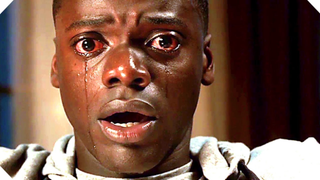 In October 2016, Get Out released its official trailer of only 2 minutes and 33 seconds, and took the world by storm. Although I didn’t know the specifics, here is what I knew: The movie involved a black man (Chris), a possibly “progressive” white woman (Rose Armitage) and, for the first time I could remember, a black man publicly showing just how frightening it can be to trust white America. Far from a perfect film—one even arguably rooted in the respectable nature of how black people should operate in a white society until it’s life or death—Get Out does resonate on several levels. It highlights the very real consequences of attaching niceness to racism—or, as Ta-Nehisi Coates calls it, “the good, racist people,” and it depicts the dangers of being beholden to white liberalism. What’s more, Get Out allows black people to win against white people—and it did it during Black History Month, no less. Get Out also underscores the distrust that black people feel for white women—the same white women who voted for Trump (53 percent), and the same white women whom Angela Peoples warned us about in her viral “Don’t Forget: White Women Voted for Trump” photo at the Women’s March on Washington in January. But the movie doesn’t just enable black people to see conservatives for who they are and who we’ve always known them to be. Rather, it provides a means to evaluate the demons contained in the nice racism of those who believe that they do good (and who make it a point to distance themselves from what is perceived as bad): white progressives and liberals. In his feature-film directorial debut, Jordan Peele takes us on a suspenseful, comedic adventure. In the beginning we hear “Sikiliza Kwa Wahenga,” Swahili for “Listen to ancestors … run away”—a hidden message in the context of the story. The words are literally issuing a warning, and as the movie continues, we understand just why the main character, Chris, played by Daniel Kaluuya, should have listened. I’ve seen Get Out twice, and I’m still mentally unpacking the experience. It’s a film deeply rooted in expressing what can happen when you place your trust in white people and, by extension, white America. What reverberated for me as I watched the film is the idea of white people wanting to be black, desiring to be black in an obsessive way, and the fetishizing of black bodies. There is a deep connection to slavery, particularly with the “bingo” auction block where control of Chris’ body is sold off. There is also a numbness associated with being black when white people attempt to control our bodies (“sunken place”), and an infatuation with anything deemed to be more powerful. It’s also clear that Get Out presents yet another example of how nice white people assume that they are complimenting black people on aesthetics and athleticism, but don’t realize how deeply connected those faux compliments are to racism. There was a time when white people and faulty science believed that black people were better athletes because of extra tendons. While watching Get Out, I couldn’t help thinking about the long, jealous, bitter historical implications behind Granddad Armitage losing to Jesse Owens (“He almost got over [losing to him]”) and how that became the impetus for taking over black people’s bodies. Get Out connected historical themes to contemporary times to make the point about just how envious white people can be of black people. We are indeed the mules of the world—used by other communities of color to fight for their rights while simultaneously being silenced by white conservatives and liberals alike. It is a film that allows black people to be rightfully afraid and untrusting of white people. Make no mistake: Get Out isn’t merely a fictional film, but one with themes that we can see play out historically and currently. It makes clear that black people can be beholden to white people who are seemingly nice. It’s that same false kindness that allowed many of us to be shocked when Hillary Clinton was heard referring to black people as “superpredators” in 1996. It’s that same “niceness” that had many black people surprised when then-President Bill Clinton signed the 1994 crime bill into law—which was authored by everyone’s favorite white cookout invitee, then-Sen. Joe Biden. And, in that same line of thought, it was that same trust of white liberals that caused many of us to be horrified when Biden railroaded Anita Hill during her testimony against then-Supreme Court Justice nominee Clarence Thomas in 1991 about allegations of sexual harassment. Get Out is par for the course when it comes to “nice” white treatment of black people. It also implicitly addresses the distrust black people often have for one another because of brainwashing. At the Armitage estate, we see that the only time Chris begins to feel more comfortable is when he sees two other black people—Walter and Georgina. He quickly realizes, though, that something is amiss and that they are nearly in sync with the Armitages. Get Out critically examines the problems of aligning with whiteness and how white supremacy can be used to divide black people. Black people need this film—it’s powerful and beautifully nuanced, and in the end, we survive. But until white people hold themselves accountable for their “nice” racism and the impact it has on those they claim to help, they will continue to believe that black people owe them a statement heard twice in Get Out: “You’re right; I’m wrong.” And that means they will have learned nothing. Preston Mitchum is a Washington, D.C.-based writer, activist and policy nerd. He is a regular contributor to The Root and The Grio and has written for The Atlantic, ThinkProgress, Out magazine, Ebony.com and Huffington Post. Follow him on Twitter to see just how much he appreciates intersectionality.